Fully outsourced design, develop and manufacturing service for a bench top diagnostics instrument for Medical device sector. The client is a world leading provider of quality diagnostic devices, clinical trials and medical equipment servicing. The product is a bench top diagnostics device. The product is used by Surgeons and doctors as well as other medical professionals in both hospitals a well as private practice. The product consists of a complex mechanical mechanism which is integrated with a series of sensors and customised electronics. The overall product is housed in a metal fabricated housing and it interfaces to the clients proprietary PC based software. The client identified an existing product platform as a potential to be modernised and re launched. The existing version of the product was mechanical only. 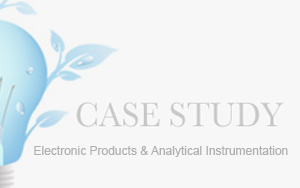 The client requested that Gentian preform an analysis of the product to determine the technical feasibility of converting the existing product to an electronic version capable of interfacing to their proprietary PC based software. If technical and commercial feasibility were successful the client required Gentian to perform full turnkey design and development as well as follow on manufacturing for the product. Gentians role was to work closely with the clients R+D Manager and provide a full turnkey design service during the design phase of the project. During the design phase Gentian was to work in parallel to establish a suitable manufacturing process and manufacturing solution and provide on-going supply of the product once product had migrated from R+D into manufacturing.